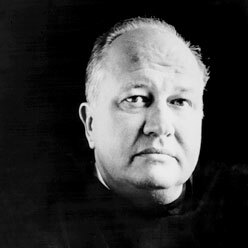 Counterbalance presents the esteemed Northwest poet, David Wagoner, in this candid reflection on his friend and mentor, UW professor Theodore Roethke. This intimate discussion will introduce the audience to the poet and teacher Wagoner has recalled in his new play, “First Class,” which will begin previews July 27 and open August 2 at ACT Theatre in Seattle. In the play, John Aylward as Roethke takes the audience into the remarkable classroom Wagoner remembers. David Wagoner has published 17 books of poems, most recently Good Morning and Good NIght (U. of Illinois Press, 2005) and ten novels, one of which, The Escape Artist, was made into a movie by Francis Ford Coppola. He won the Lilly Prize in 1991 and has won six yearly prizes from Poetry (Chicago). He was a chancellor of the Academy of American Poets for 23 years. He has been nominated for the Pulitzer Prize and twice for the National Book Award. 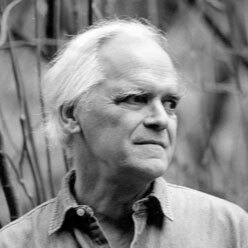 He edited Poetry Northwest from 1966 to its end in 2002. He is professor emeritus of English at the University of Washington. Promotional postcard from Counterbalance Arts/Poetry program on Sunday, June 10, 2007. Poet/playwright David Wagoner lectured on the life of the late poet Theodore Roethke. Only six postcards autographed by Wagoner are available.